Sometimes you need a kid-frienndly painting project that will put a smile on your face. 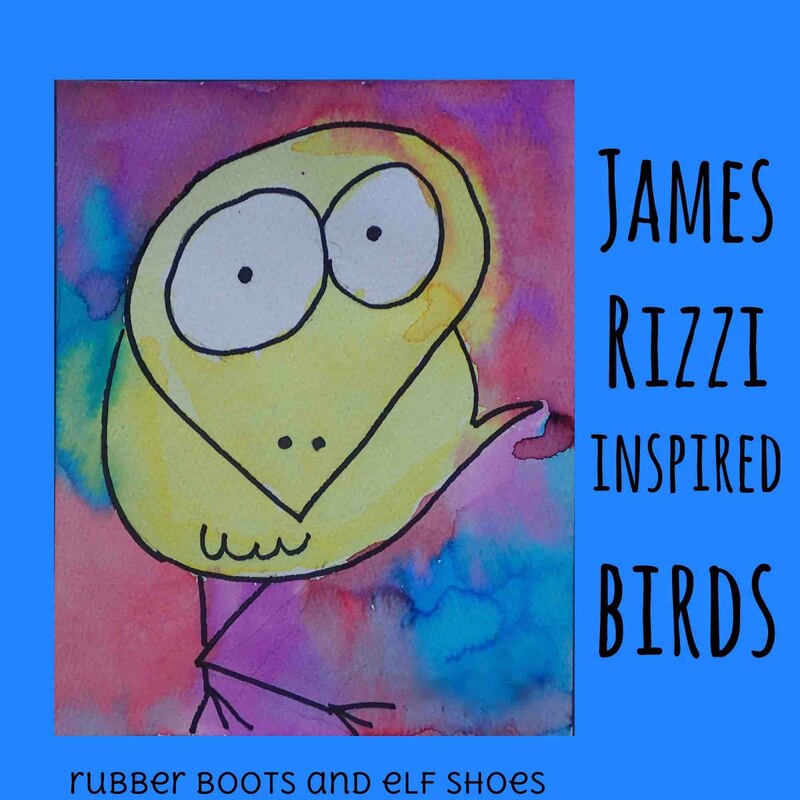 Jame's Rizzi inspired birds fit the bill perfectly. 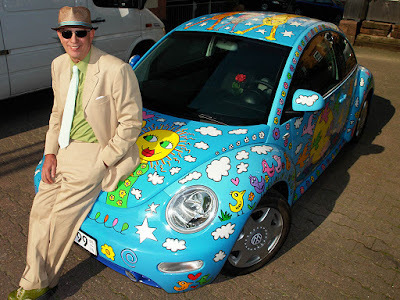 James Rizzi (1950 - 2011) is an American pop artist best known for his "linear, child like style, vibrant colours and zany imagery" (from his obituary). One of his projects was designing VW Beetles. Totally fun! We loved James Rizzi's "We Are the Birds" -- we loved the bright colours, and how the birds were basically the same, but each had their own personality. 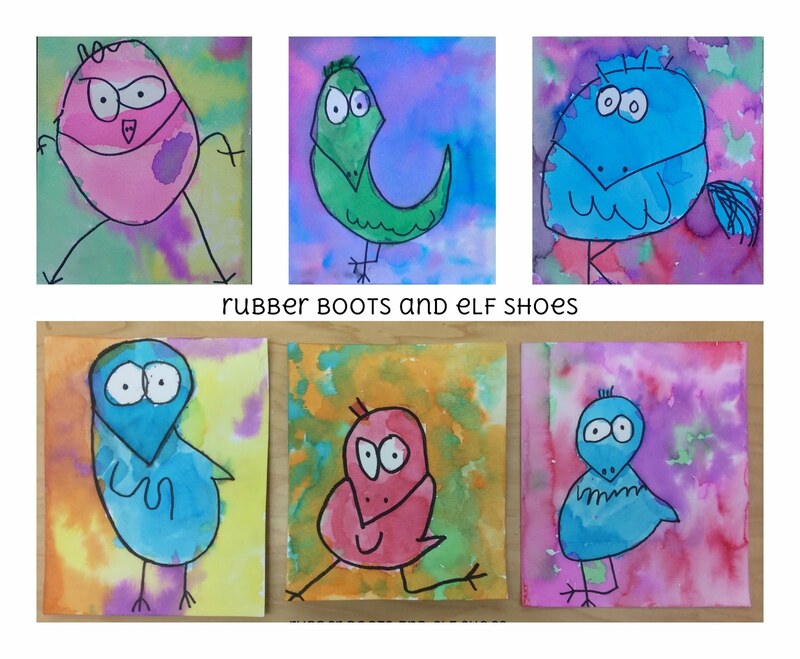 They were fun, and a perfect project to fill our classroom with joy. 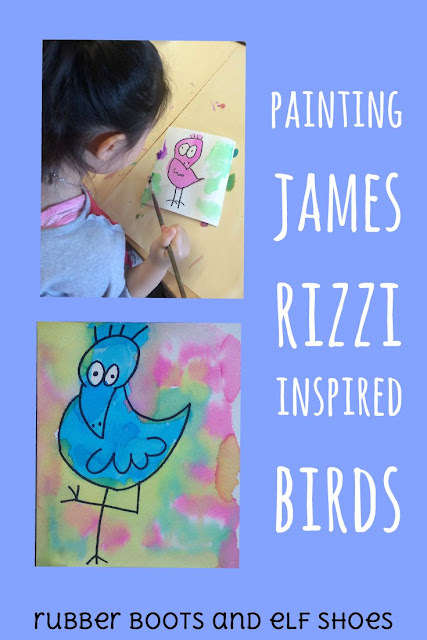 Painting James Rizzi style birds was a project that helped us learn about an American pop artist, use our fine motor skills in a semi-directed drawing, think like artists, have fun and make everyone who saw our birds smile. 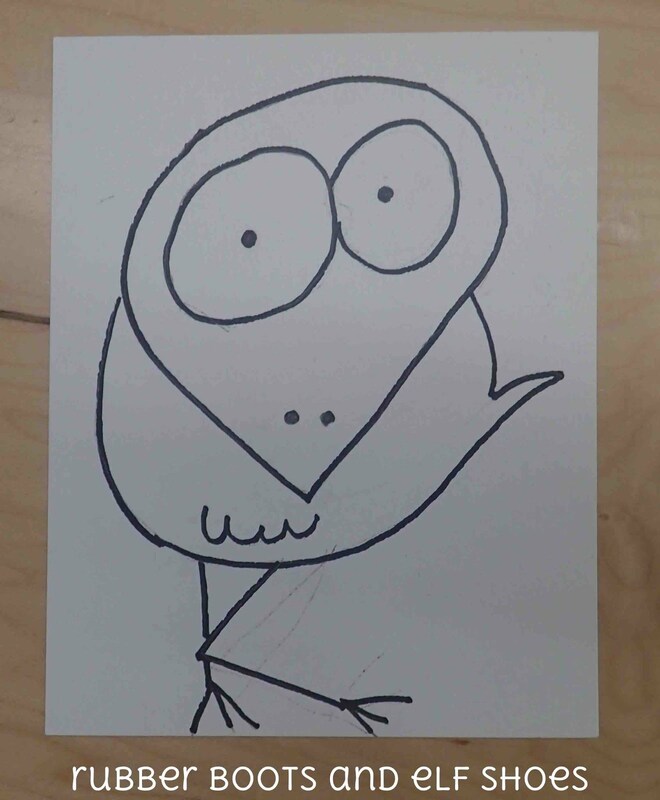 The first step was to draw the birds. We did a practice run on scrap paper, and then drew with pencils on watercolour paper. 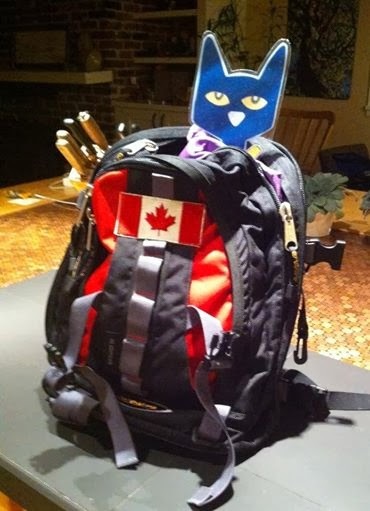 I took them home and traced over the kids drawings with a jiffy marker (while listening to a show on Netflix). Thanks for the drawing instructions Deep Space Sparkle. We wanted bright, bold colours like James Rizzi used, so we painted our birds with liquid watercolours. I am a big fan of liquid water colours for their colour and ease of use for young children. They make our work look so alive. The kids were reminded to be careful around the eyes, to leave them white. 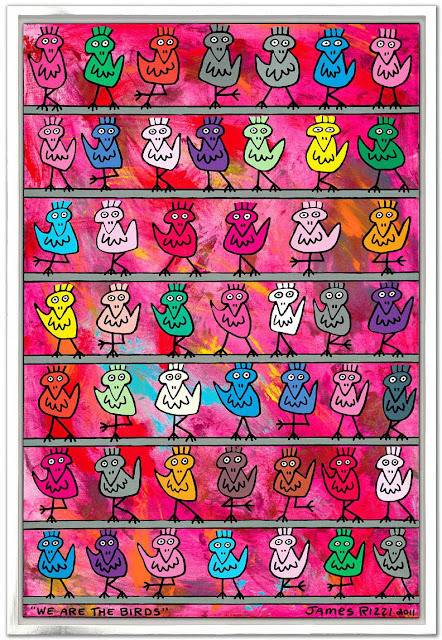 I asked the kids to choose one colour for their birds, so that our paintings were like James Rizzi's. When the birds were dry, the kids painted the background. 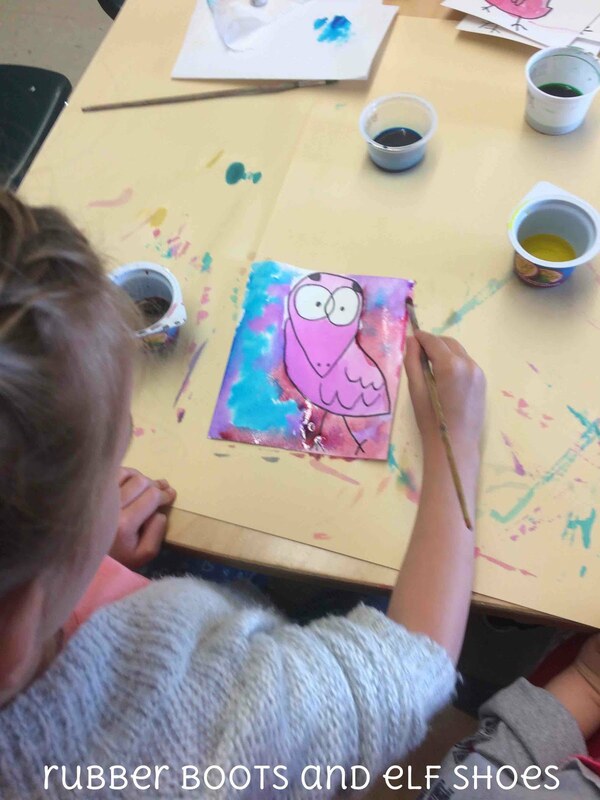 We used wet-on-wet painting for the background so that our colours blended together. 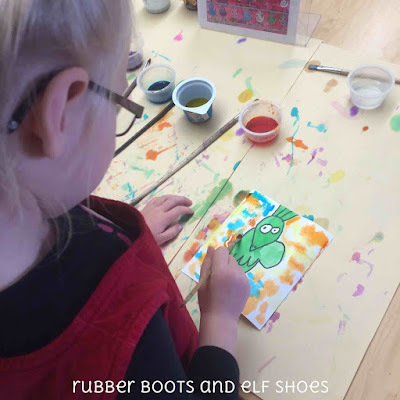 The kids "painted" their paper with water, dabbed on the (slightly diluted liquid watercolours) that they wanted for the background, and then watched the colours flow together on the paper creating a mottled background. 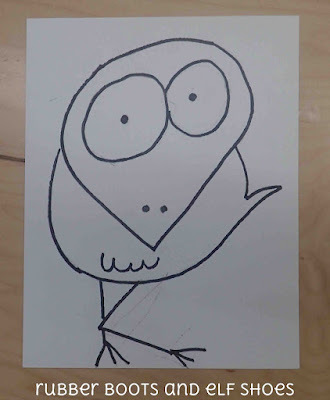 Then there was the artist who did not let my instructions get in the way of his creativity (bless him!). 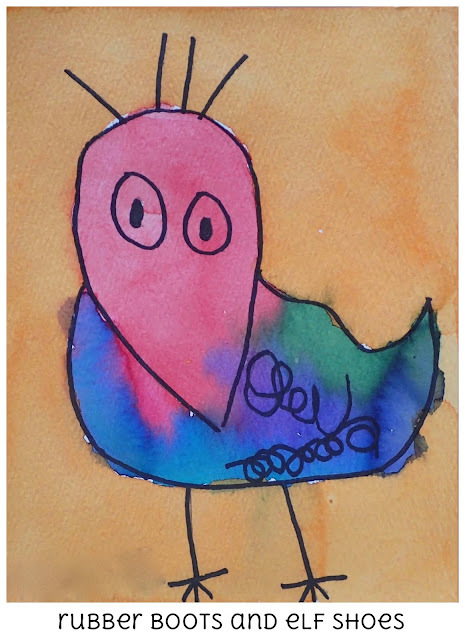 He wanted his bird multi-coloured and his background one colour. Doesn't it look great - the bird really "pops". 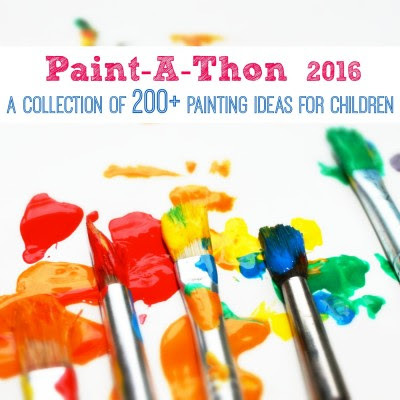 This project has been included in 2016 Paint-A-Thon - full of over 200 painting ideas for home or the classroom. Love your birds and their great personalities! Thank you. 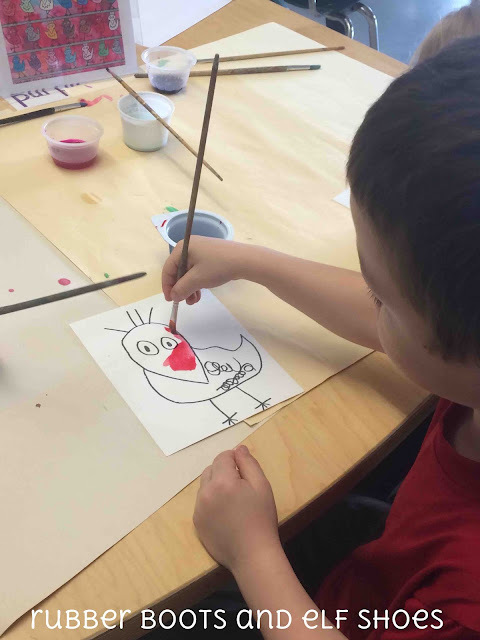 We loved how they all turned out to be such individual works of art too! 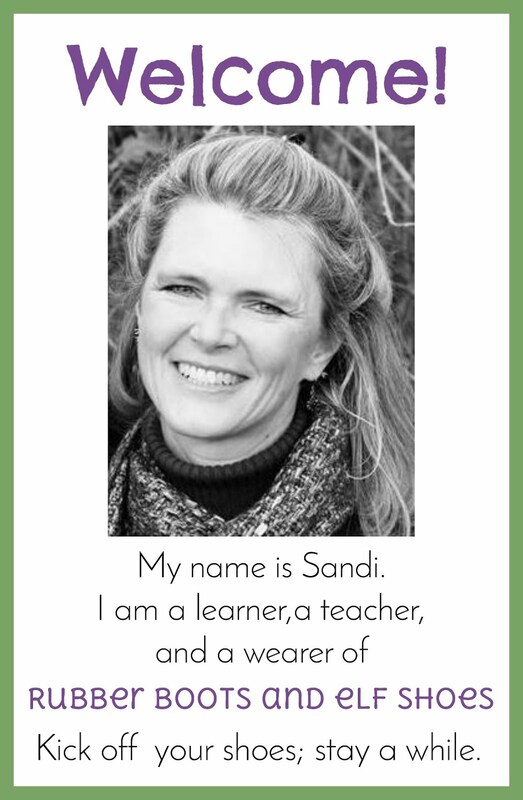 I absolutely LOVE these birds, Sandi! I'm going to do them with my new class ~ can hardly wait! Aren't they fun! You and your class will enjoy creating them. Happy beginning of school. Yes I love these birds! They are so bright and cheerful! 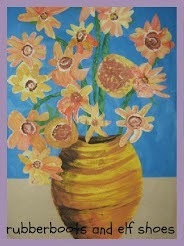 Wonderful art project! Thank you. 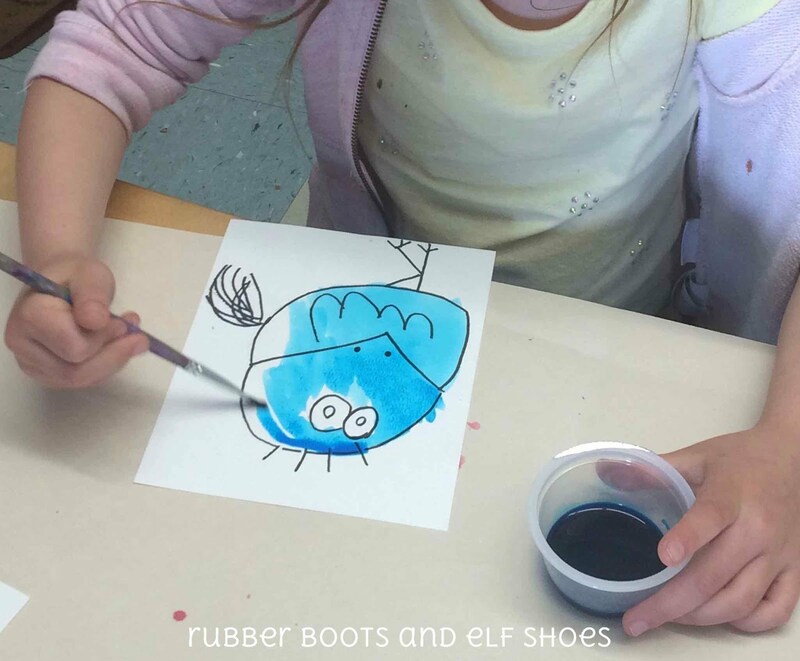 They were fun to draw, fun to paint, and looked amazing on our classroom wall.